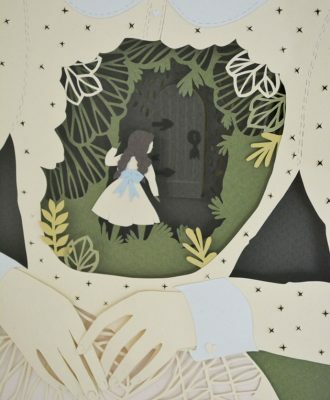 Noe Arata (also known as Dobleufa) creates unique and whimsical layered paper artworks which are reminiscent of well-known fairytales. 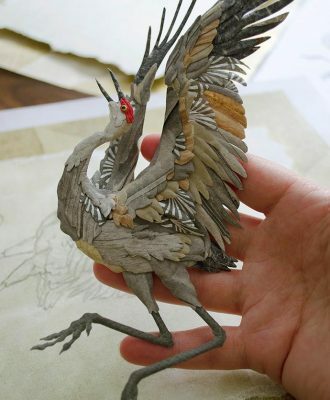 Colorado-based artist Tiffany Miller Russel creates intricate paper sculptures of wild animals. 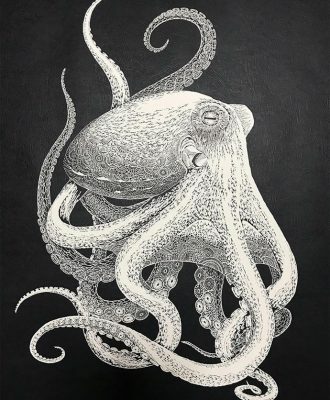 Japanese artist Masayo Fukuda has been practising the art of kirie, the art of paper cutting by creating negative space in a single sheet of white paper, for over 25 years. 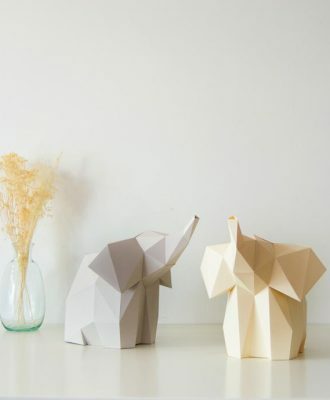 OWL Paperlamps, a Portuguese studio started by Hugo Formiga & Teresa Almeida, brings a variety of adorable animals to life with the flick of a switch. 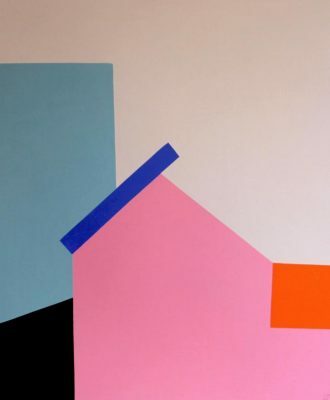 UK-based multidisciplinary designer and artist Anna Mac has been creating bold works of art since 2016. 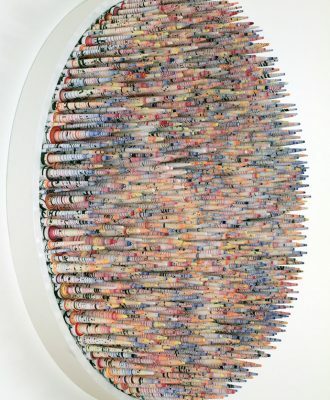 Iranian-American artist Hadieh Shafie creates mesmerising optical artworks from hand-dyed and -rolled paper scrolls, which she transforms into large-scale pieces. 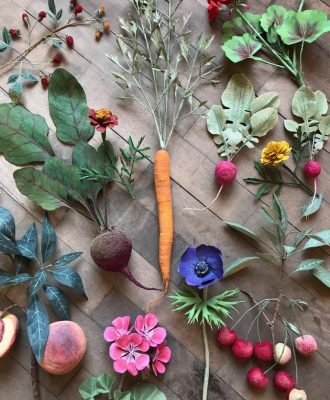 These beautifully crafted fruit and vegetable creations, made up of soil-dusted beetroot and juicy apples, by Minneapolis-based artist Ann Wood are all made out of paper. 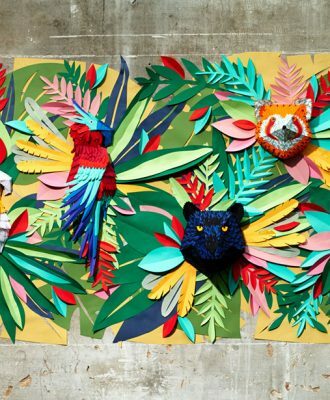 After spotting the work of Canadian graphic designer Julien Vallée, France-based paper designer and illustrator Mlle Hipolyte decided to try her hand at making paper artworks.